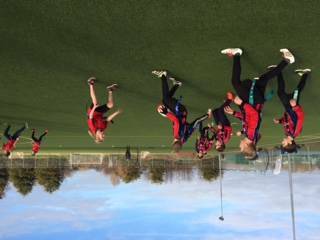 Thursday 19th January saw a frosty start to the SSP Tag Rugby Event, the frost made way for a small selection of schools from across the SSP to compete in Norfolk School Games Tag Rugby Qualification event. Cliff Park Ormistion Academy played host to the event and I must thank them for also supplying the young sports leaders who done an excellent job in officiating the days proceedings. The morning saw some excellent rugby being played coupled with some exceptional moments of sportsmanship that was a true credit to the individuals and the game of rugby. The eventual winners were Woodlands Primary Academy closely followed in the runners up spot by Homefield Primary who will now go on to represent the East Norfolk SSP in the Norfolk School Games finals at Norwich RFC on Wednesday 1st February where we wish them all the very best of luck. Once again congratulations to all who took part and I hope to see these schools and many others at the SSP Cross Country on Wednesday 25th January.